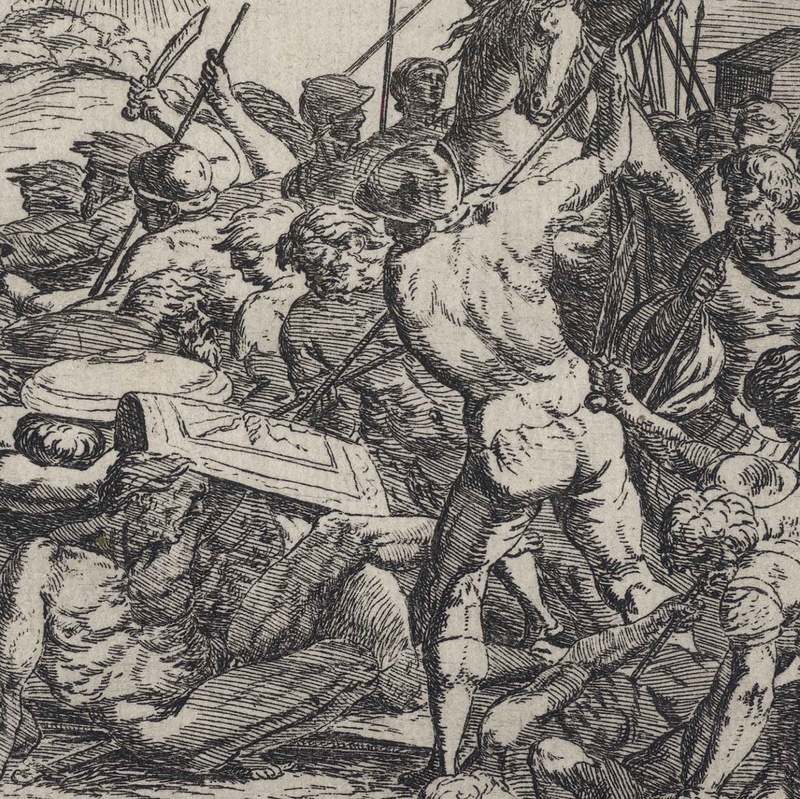 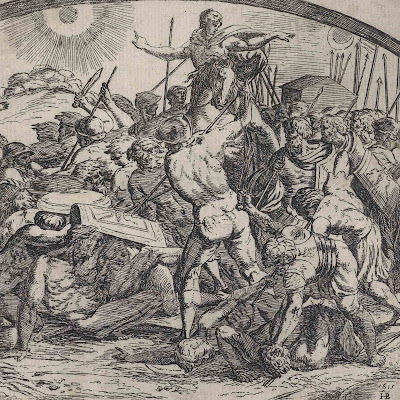 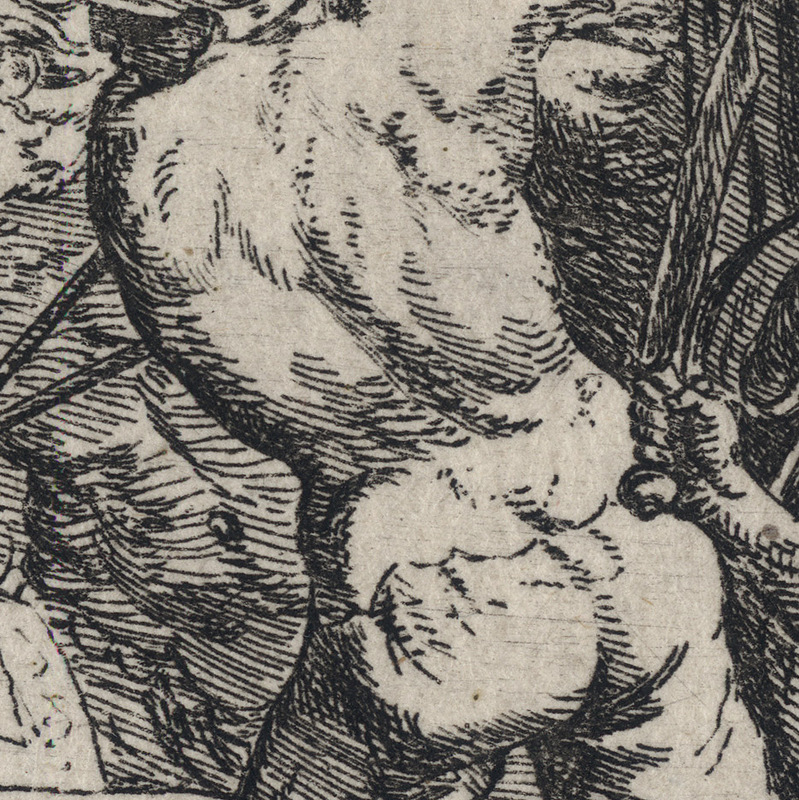 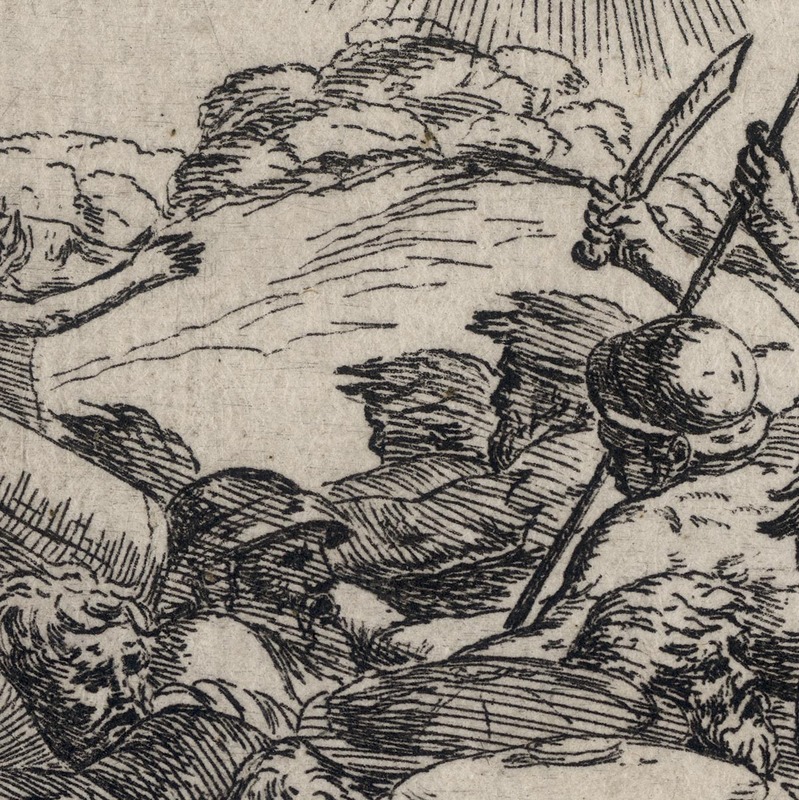 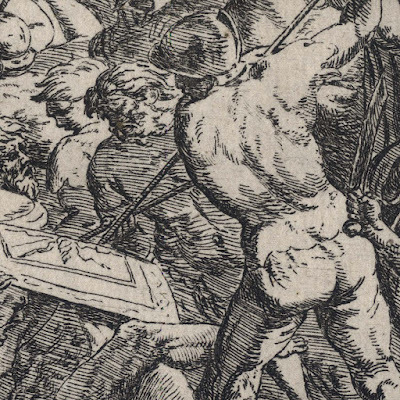 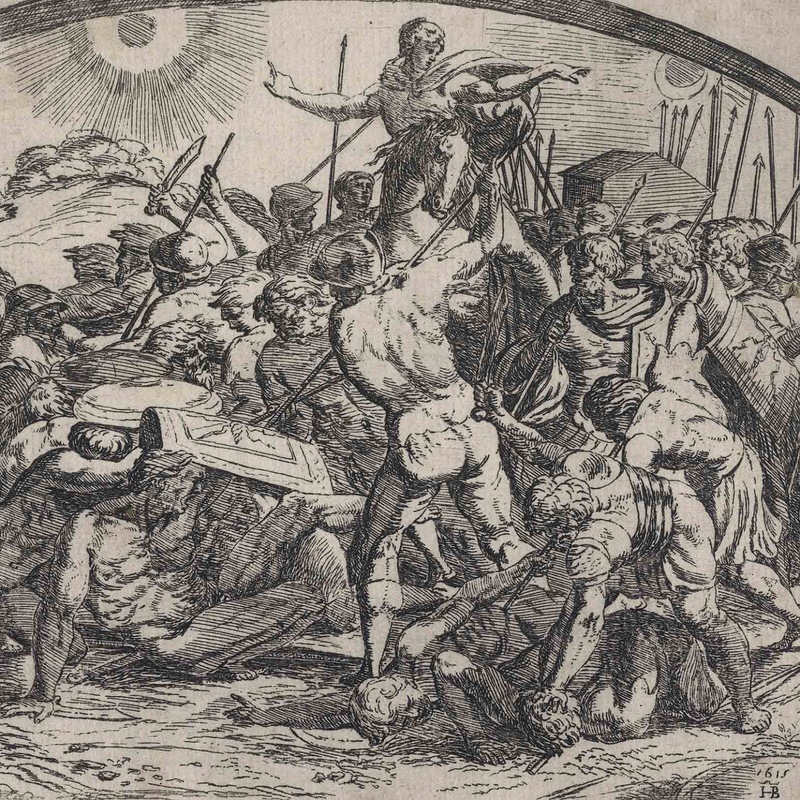 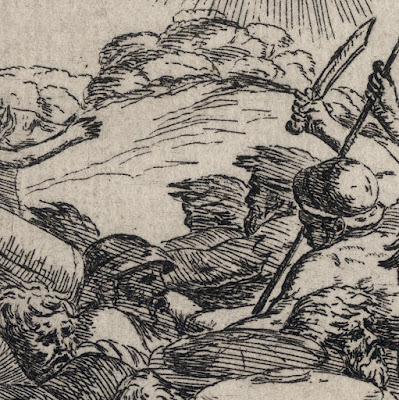 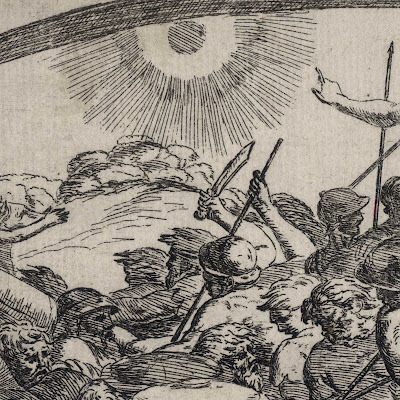 “Joshua Commanding the Sun and the Moon to Stand Still” (“Josué commandant au soleil et à la lune de s’arrêter, jusqu’ à ce que les Israëlites eussent défait les Amorrhéens”), 1615, plate 39 from the series of 52 plates after Raphael, “The Loggia Paintings” (Bartsch title). Etching on fine laid paper trimmed with a thread margin around the plate-mark and backed with a support sheet. 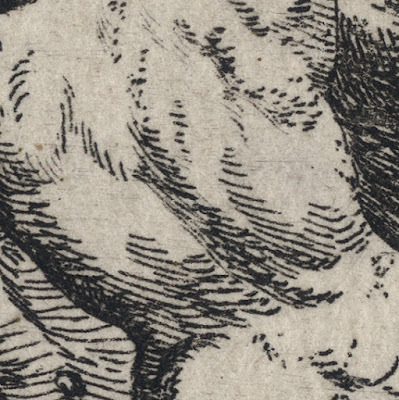 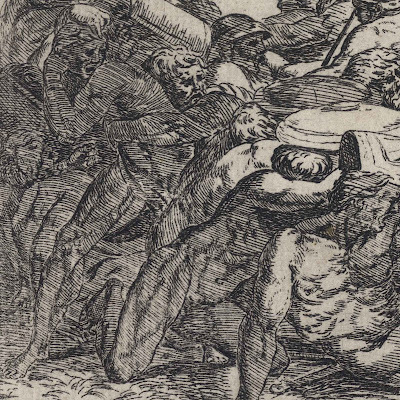 Condition: crisp, well-printed impression—a superior impression to that held by either the British Museum or the Rijksmuseum—showing minimal wear to the plate. 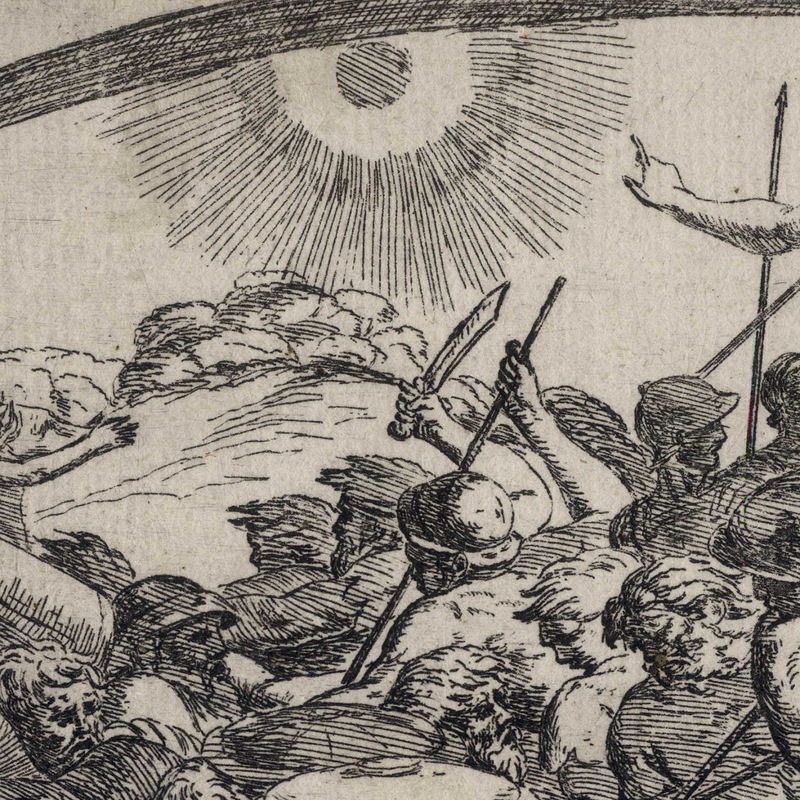 The sheet is in excellent condition for its age (i.e. 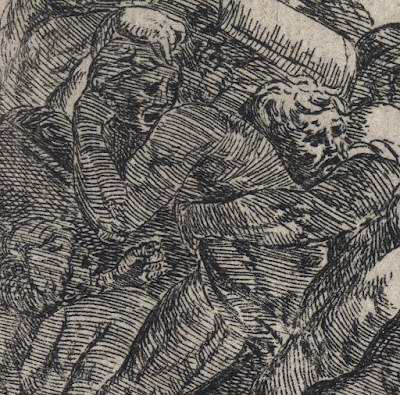 there are no tears, holes, folds, abrasions, stains or foxing), trimmed near the plate mark and backed with a support sheet of archival (millennium quality) washi paper. 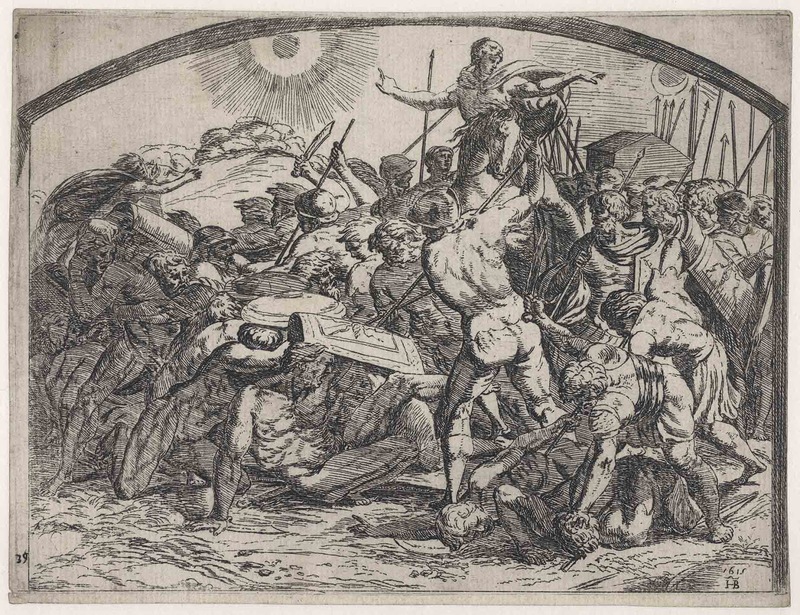 I am selling this superb etching executed in the last year of the artist’s life and based on the design of the legendary Raphael (1483–1520) who had passed away only 95 years before this print was created, for AU$257 (currently US$184.23/EUR160.96/GBP140.01 at the time of this listing) including postage and handling to anywhere in the world (but not, of course, any import duties/taxes imposed by some countries). If you are interested in purchasing this rare Renaissance period print that is arguably a finer impression than held by the British Museum or the Rijksmusuem, please contact me (oz_jim@printsandprinciples.com) and I will send you a PayPal invoice to make the payment easy.